Measure Everything with Website Analytics! You need to use website analytics to see where your traffic comes from, where they go on your site, and how they use it. We can tell you that by monitoring, analyzing and reporting on the data. You might even find out things you didn’t realize like the example below. We install Google Analytics on each website we build, and it provides valuable information regarding the traffic on your site. With a simple tracking code, we capture information about your audience, each page of your site, how visitors come to your site, and how long they stay on each page. We can translate the statistics to identify web trends, hot topics, and missed opportunities so you can plan your next course of action. The abundance of information provided can be overwhelming if you don’t know how to decipher it; analyzing Google Analytics can be a big job! That’s where we come in. ProVim provides analytics & metrics reporting services which give you valuable feedback about your website. 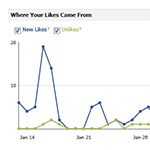 Our clients receive a periodic analytics report that is easy to understand. We gather the important information and explain it to you. 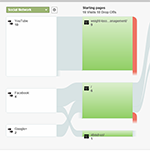 User Flow diagrams are a great way to understand the basics in content of interest, and in visualizing how users move from one page to another. Along with creating goals, they are another way to measure segments and topics of interest to users. Funnel pages are used by advanced marketers to lead users down a path of activities while rewarding and encouraging them to display a desired behavior. 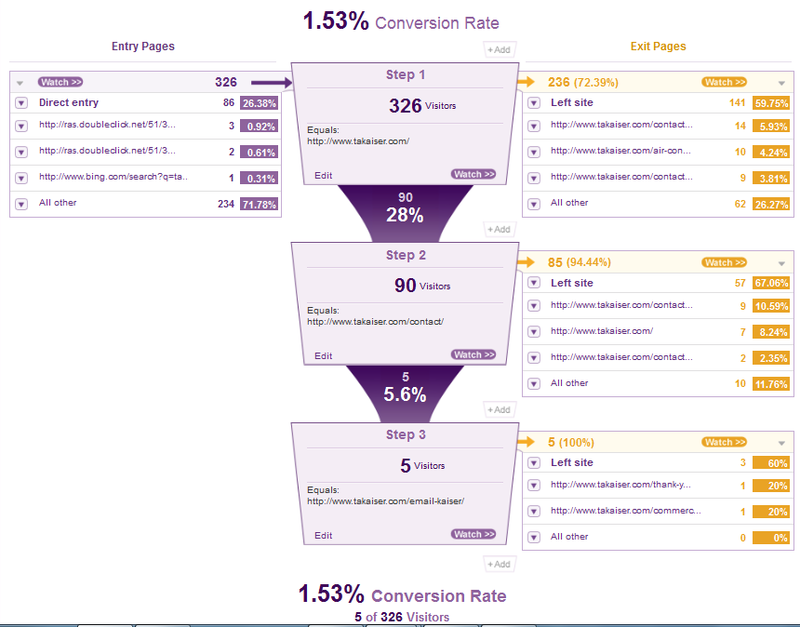 The most common funnel pages are the same task sequencing pages found on e-commerce websites. Once the products are placed in the cart, there are usually seven tasks to complete the transaction. 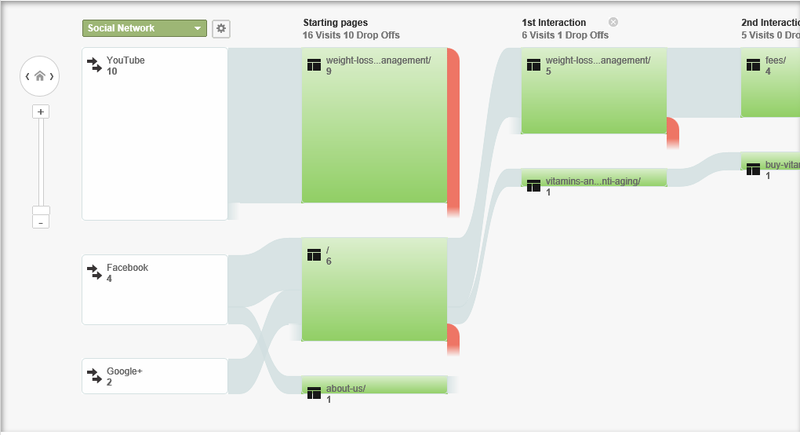 As and example, if the majority of the users fall out of the sales funnel on task five, then Heat Maps can be used to identify issues the user his having with in the content of that specific page. After identifying and resolving the issues, then we’d focus on the next highest exit task page. Eventually achieving higher and higher conversion sales rate. There is a lot of valuable information found in the graphic, but none of it can be taken at face value. Looking at the bounce rate, with a combined mobile and desktop bounce rate of 48%, that seams very high, but it is not completely true. Google defines a bounce as the users action of landing on a given page, then exiting that same page with out any actions. Time on the page is not a factor. Understanding that then leads us to this question, what if the user simply wanted the contact phone number? If that is true, and the user in fact called… isn’t that a 100% successful conversion? Absolutely and that is the importance of Call Tracking.